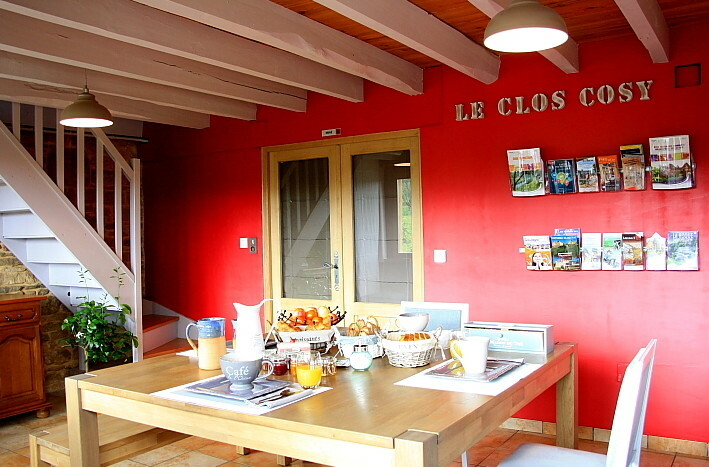 Every morning, the Clos Cosy offers a gourmet breakfast "à la française". … enjoy a delicious moment of pleasure! 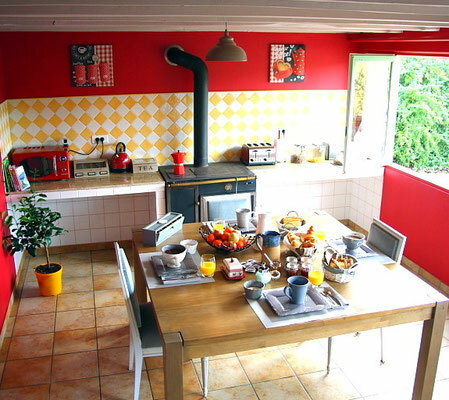 It's in the private atmosphere of your Cocoon Suite, nestled in your cozy duvet, that the tempting smell of croissants, will take you out from the arms of Morpheus. 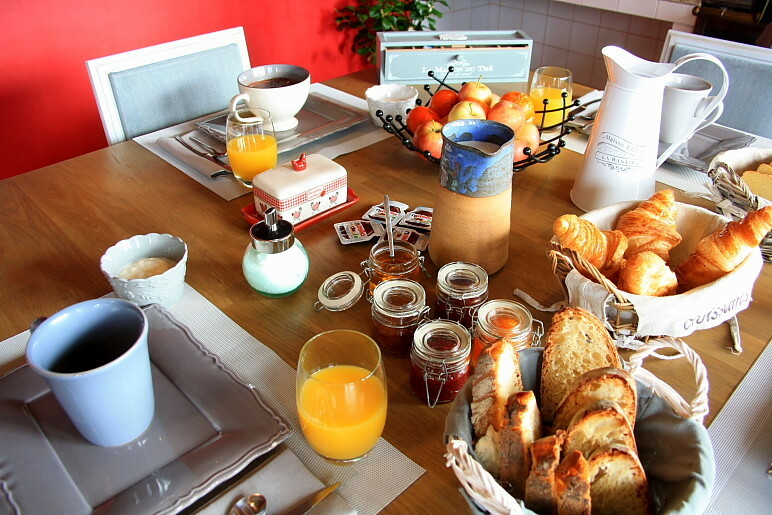 Still hot, fresh and crispy, you will find on the table several varieties of bread and pastries. 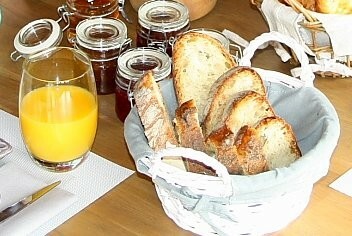 So, you will make great toasts and savor delicious homemade jams, made up mainly with our organic orchard fruits. If excessive gluttony does not scare you, you will surely succumb to many other temptations: homemade pastries, fresh fruit, dairy, honey, chocolate spread choco-hazelnut, with a hot drink (coffee, tea or chocolate milk) and a sweet touch (fruit juice). Breakfast is served in the charming dining room of the house, near the authentic wood stove or on the outdoor terrace, if the weather permitting. From 8:30 to 10:00 (these times are completely adaptable depending on your program). Even if you have a food allergy or intolerance, you just can't get away from the many pleasures of the table. Whether it is gluten, lactose or other ... We will adapt to your needs by preparing just for you a custom breakfast (on prior request). 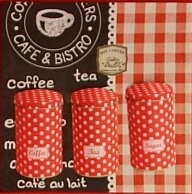 At your disposal: mini fridge, microwave, toaster, electric kettle and coffee maker. But also: numerous documents, maps and tourist guides of the main attractions of the Black Périgord and Quercy. Please note that we are not doing Guest Table at the Clos Cosy, but we can advise you the best nearby places to enjoy traditional and regional cuisine (or other! ).